Essential Magic is the premier location for maintaining your collection, your decks, and your favorite combos. Input your collection of both real life and online cards into our vast database, and check the latest prices. We have over 20,000 cards, 460,000 decks, 30,000 combos, and 80,000 registered users in our database, and we are confident you will find everything you need to improve your Magic: the Gathering game. And best of all it is completely FREE! What more could you ask for? 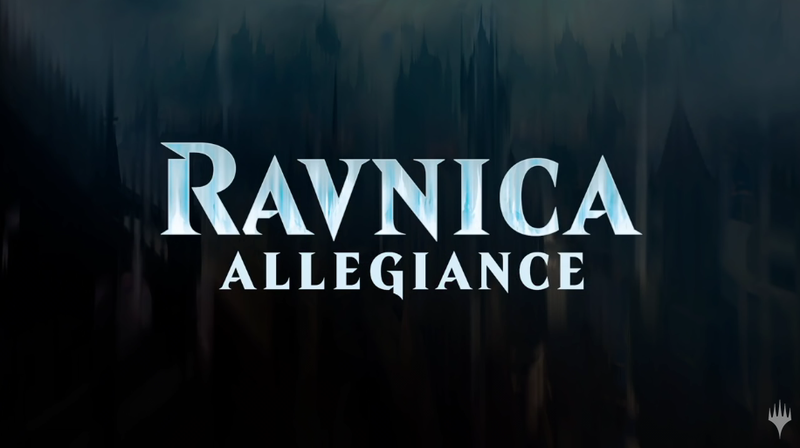 The latest set Ravnica Allegiance is now in our database! Along with Ultimate Masters are all now in our database! We are now on Twitter! Follow us on Twitter and we will update you on all things Essential Magic and Magic: the Gathering! We are now on Facebook! Like us on Facebook and we will update you on all things Essential Magic and Magic: the Gathering! We have several popular forums to discuss everything MTG and everything not MTG. You can also get deck help and rules help and general strategy advice from eM's Magic Gurus, or other knowledgeable members. So it's the week before the pre-release. You can't wait to see the new cards before they're actually released. You pack your cards and you're about ready to head to the event. Until you realize... You have no idea what you're doing. So relax, that's where this article comes in. I'm going to take you a step by step way of identifying drafting strategies. This article is possibly going to offend some people. I've noticed some magic players - particularly experienced ones - approach the game from the perspective of it being a contest of skills. In fact, some are quite outspoken about luck being too integral to the game. Today I want to quickly go over some of the different formats that have occurred over time. Submit your own articles, gain fame and win cash for cards! Browse Articles Submit Articles for card cash $$! Cast Oblivion Ring Buy and target your Barren Glory Buy. Then just cast Apocalypse Buy. Remove all permanents from the game including Oblivion Ring Buy. When Apocalypse Buy resolves return Barren Glory Buy into play, with no other permanents left and no hand. Next upkeep a more than likely victory for you. (Considering Apocalypse Buy would of removed all permanents your opponents controls as well!). Theros has brought Gods into our planes. What is the best God/Legendary artifact combo?